If your looking for upholstery cleaners in Tampa FL, Chem-Dry of Tampa does an amazing job cleaning. 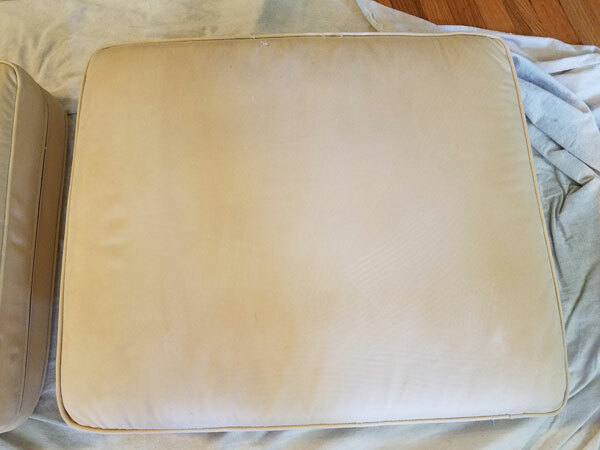 Take a look at these before and after pictures of an off white sofa cushion with watermarks from a previous spot cleaning. The soil and watermarks are gone. If you have a sofa or other upholstered furniture with spots or stains you can clean them yourself but make sure that your not just cleaning the spot but the surrounding areas as well. 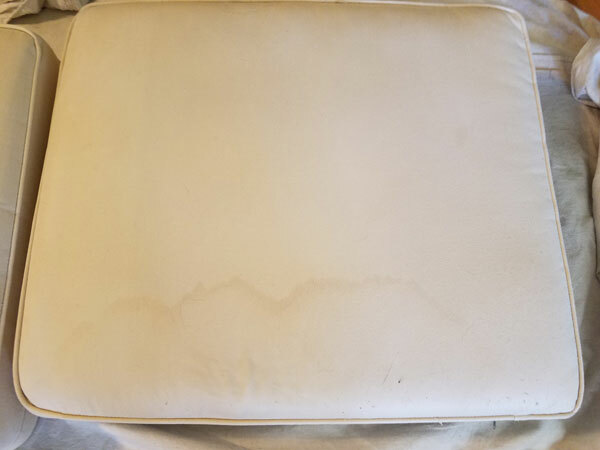 When you spot clean upholstery, even with an upholstery cleaner, it can leave a watermark like the cushion in the picture above. Most of the time these watermarks can be avoided as long as you wet the entire surface while cleaning. Say you spill some wine on your off white sofa and you need to clean it right away. After cleaning out the wine make sure to wet the entire cushion face from edge to edge. you can even use regular water to wet the rest of the cushion. This will keep a watermark from forming as it drys. You can also use a hairdryer to speed up the dry time when spot cleaning upholstery. The faster the spot dries the less likely you will get a watermark from cleaning it. If a stain remains after cleaning your sofa or other upholstered furniture it might be time to call in a professional upholstery cleaner to take care of it. If you need an upholstery cleaner in Tampa FL call Chem-Dry of Tampa.